Experienced insurance agent in Ontario providing fast and FREE no obligation whole life, universal life & term life insurance quotes. If you died tomorrow, what would happen to the people in your life? They will be devastated no matter what, but this horrible situation becomes even worse if they are left without enough money. With life insurance, you can make sure this never happens to your loved ones. And yet, many Canadians do not know nearly enough about this valuable protection. This can lead to big mistakes like buying the wrong coverage or even worse, someone not realizing they need insurance until it is too late. To help Canadians better understand life insurance, we have put together a complete guide to buying life insurance in Ontario. While this guide is no substitute for professional advice from an insurance agent, it can help get you started in figuring out your plan. If you would like a free Canada life insurance quote or have any questions for our agent, please phone us today or request a call back via our contact form. When you buy life insurance, you enter a contract with a life insurance company. You agree to pay the insurance company premiums every year for your coverage. In exchange, if you ever die while covered your heirs will receive a large payment, known as a death benefit. For a small monthly payment, you may qualify for a quarter million dollars or more of life insurance coverage. Insurance companies can offer such large payouts because they combine your money with thousands of other Canadians. Since the odds of someone dying is very low, each year the majority of policies do not pay out. However, for the few people who do pass away, their families receive a large payment to make up for their loss. Some people need life insurance much more than others. If you answer yes to any of these questions, you are a prime candidate for needing coverage. This is the most common reason for buying life insurance. Your children depend on you to take care of them until they grow up. You might also want to help them with other financial goals, like paying for university or college. Stay at home parents should also consider life insurance because of all the valuable work they do at home. If you are not there, your family members will need to hire someone to cook, clean, and take care of the kids. While life insurance cannot replace a loving parent, it can make sure your kids do not struggle with the bills after you die. Do You Support Anyone Else? Children are not the only people who depend on you. If your partner or spouse, siblings, parents, grandparents, or anyone else is relying on your income, life insurance makes sure they will still be taken care of after you are gone. Do You Have Any Large Outstanding Debts? When you die, you can stop worrying about your bills, but they might become your family’s problem instead. If you bought a house with your partner or spouse, they will still need to pay off the mortgage. Another common situation is if someone co-signed your student loans. If you die, they will need to pay everything back on their own. Even if you do not have any current debts, a funeral can cost up to $15,000. Without life insurance, you are leaving these financial burdens for your family. Are You a Part Owner of a Business? If you are part of a business, your partners depend on you to keep everything running. If you die suddenly, they are going to take a big financial hit as they scramble to replace you. Life insurance would give them the money to keep the business viable. It is a good idea for all the business partners to have coverage, so a surprise death does not force the rest of the group out of business. Do You Want to Leave an Inheritance? Life insurance is a great way to leave a legacy after you are gone. If you have younger family members, you can give them a head start in life by paying for their university or college. Another option is to leave money to your favorite charity. These are the most common reasons why people need life insurance, but there are others. The best way to know for sure whether you need coverage or not is by asking a qualified Ontario insurance advisor. There are different types of life insurance in Canada with very different features. To get the right coverage, you need to pick the right type of insurance. To begin with, there are two main categories of life insurance: term and permanent. Term life insurance is temporary coverage. When you buy a policy, it has a set expiration date. If you die before the expiration date, the policy pays the death benefit. Otherwise, your plan expires and you will need to buy another policy to remain covered. Permanent life insurance is meant to last for your entire life. As long as you keep paying for your insurance, your coverage will not end. Permanent policies are more expensive than term because they are much more likely to pay a death benefit. Term insurance works better when you need a lot of coverage for a temporary amount of time, like a 20-year policy to protect your children until they grow up. Permanent insurance is better when you want a policy that never expires, for example to eventually pay for your funeral costs. Permanent life insurance can also build cash value, which is money you can take out when you are still alive. The insurance company invests your money, so your cash value grows over time. It is like your combining life insurance with a savings plan. Term policies do not offer cash value, they are just straight protection against the impact of unexpected death. When you buy a term policy it tells you exactly how long it lasts, like a 5-year plan or a 20-year plan. At the end of the term, your policy expires. Some plans let you repurchase immediately without another health exam, only at a higher price since you are older. Others will ask you to take another health exam before you can continue coverage. Mortgage protection insurance is a type of term life insurance in Canada. Mortgage insurance policies reduce your death benefit over time. The idea is that as you pay off your mortgage you need less coverage, so the death benefit gets smaller. This makes Ontario mortgage protection insurance less expensive than regular term life insurance. Regular term life policies have a maximum age limit where the coverage ends. It depends on the insurance company, but most will not let you keep term coverage past your 70s or 80s. This means if you have term life insurance, it could expire right before you will actually use it. If you want long-term coverage but do not want to pay the full price of permanent insurance, another option is a term to 100 policy. As the name implies, your policy would last until you turn 100. While these policies are more expensive than traditional term life insurance, they are less expensive than permanent. These policies do not build cash value, only a long-term death benefit. They can be a good alternative if you only want long-term life insurance coverage without an investment component. If you have life insurance coverage at work, it is most likely temporary term coverage. Employers sometimes qualify for discounts because they have a group of employees signing up. If you get life or critical illness insurance through work, you should figure out what happens to your coverage after you leave the job. Some plans end your coverage which can be a nasty surprise, especially if you could not qualify for coverage on your own. Other plans let you keep your life insurance even after you leave the job. Questions about term life insurance? Want a Canada term life insurance quote? Contact us today for a free consultation. There are a few different versions of permanent life insurance in Canada with different ways of growing your cash value. Canadian whole life insurance policies promise a guaranteed return for your cash value. The insurance company tells you how much they will pay in interest every year so you can see exactly how much money you will have in the future. Whole life is useful if you want a guaranteed savings plan without any risk. Universal life insurance policies give Canadians more flexibility with paying the premium. While other types of life insurance have a set monthly payment, universal life lets you adjust your payment each month. If you do not pay a minimum amount per year, however, your coverage will end. Canada universal life insurance policies also do not guarantee your cash value growth like whole life policies do. Instead, you earn based on market interest rates so some years your money will grow more quickly than others. You can possibly earn more money with a universal life insurance policy than a whole life one, but there is a little more risk as the returns are never guaranteed. Variable life insurance lets you invest your policies' cash value in the stock market. The insurance company will offer funds and other investments that you can pick for your personal portfolio. Variable life insurance policies can grow your savings more quickly than others, but there is more risk than with universal or whole life insurance. If your investments do not do well, your cash value might not grow. Questions about permanent life insurance? Want a variable, universal or whole life insurance quote? Phone our team today. Many permanent life insurance policies build cash value on top of your death benefit. This is money you can take out when you are still alive. In the beginning, your policy will not have very much cash, but as time goes by and you make more payments you will build up a larger balance. The insurance company also invests your money. If you keep your policy long enough, you will eventually earn a profit and have more cash value than what you paid in premiums. The older your policy is, the more your cash value grows every year. It can be smart to buy permanent insurance when you are young because you will really benefit as you get older. When you receive your policy statement or check your policy online, your insurance company tells you the exact cash value of your policy. In most Canada permanent life insurance policies, you can take out your cash value any time you want. Just contact your Canadian insurance company, and they will send you a check or transfer the money to your bank account. There is no credit check, and you should receive the money a few days after your request. Your insurance agent can also help you cash out your insurance policy. There are a few different ways to take money out of a life insurance policy in Ontario. First, if you cancel your policy, the life insurance company will send you a check for all the cash value. Canadians can also make a withdrawal, which takes money out of the policy without actually cancelling it. Another option is to take out a loan against the cash value of your insurance policy. This gives you more flexibility because you can pay the money back into your account with interest. Why would someone ever do that, is it not already the person's money? Yes, but remember the insurance money is being invested and the longer you invest, the more you will earn. By paying your cash value life insurance loan back, your savings will keep growing and you will have much more in the future. If you die after making a whole life insurance withdrawal or not paying back a loan against the policy, the insurance company will subtract that amount from your death benefit. For example, if you took out $100,000 in cash value and had a $500,000 death benefit, your heirs will only receive $400,000. Before taking out a large amount of cash from a policy, always ask your Ontario life insurance agent if you will still have enough insurance coverage after the withdrawal. As you go through life, your life insurance needs are going to change. Here are some ideas you should be thinking about at every stage of your life. When you are single and new to the workforce, you probably do not have a pressing need to buy life insurance. One big exception: if your parents co-signed your student loans. Then life insurance would be smart, so you do not accidentally leave your parents with this large debt. Otherwise, you probably do not need life insurance at the moment. Planning on getting married and having kids one day? Life insurance will never be more affordable than it is at your age. You can lock in a fantastic price for the future by buying today. After you get married, life insurance starts to make more sense. Whether you need it depends on how much your spouse relies on your income. If you are both working and are pretty financially independent, maybe you could hold off. On the other hand, if you support your spouse or you took out a mortgage together, you should definitely get life insurance. Consider starting with a large term life policy. It will likely be very affordable at your age and could cover the mortgage and replace your income for years. If you have some more money in your budget, you could consider some permanent insurance to save for the future. When you have your first child, you really need to get serious about life insurance. Both parents should buy life insurance, even if they do not work. A stay at home spouse still needs coverage because if they die, their family will need a lot of help around the house. Make sure to get plenty of coverage and do not underestimate your needs. This is best done with term insurance. If you have some extra room in your budget, you can once again consider some permanent life insurance but absolutely make sure you have a large enough death benefit first. Your priority is protecting your family. You should review your insurance coverage every year or two with your Canada life insurance advisor. This way you can adjust as your life changes, like if you had another child or your income went up. You might need to increase your coverage to meet your different needs. If you have more disposable income, you can keep saving for the future by investing in additional whole life or universal life insurance. Once your kids grow up and become adults, your need for life insurance goes down. If you are married, you should consider keeping some life insurance in place to take care of your spouse, but you can start lowering the death benefit by allowing some term policies to expire. This way you will not pay as much for coverage since it gets more expensive as you get older. After you retire, your need for life insurance falls even more. Since you are not working, you no longer need to replace your income. You can end your term coverage now if you have not already. If you do not have any permanent life insurance in place, this may be a perfect time to start. You can buy a permanent policy to prepare for your final expenses as well as to leave an inheritance. It is easy to underestimate just how much life insurance you need. People can be shocked to hear they need $500 thousand, a million, or even more of coverage because that seems like so much compared to their salary. But think about it - the payout might have to replace your salary for decades and pay for other huge financial goals like your mortgage, university for your kids, and retirement for your partner. The good news is that with term life insurance, you can buy a large death benefit at an affordable price. So how do you know exactly how much life insurance coverage you need? There are a couple of ways for Canadians to figure this out. If you are looking for a quick ballpark estimate, a general rule of thumb is you need at least 5 to 10 years of your salary in insurance. But for such an important decision, it is worth being more thorough. The best way to figure out how much life insurance you need is through needs analysis. This calculation looks at all the expenses your family is going to face after you are gone to figure out how much money they will need to get by. Your family could have four types of expenses after you die: your final expenses, your mortgage and other debts, university and college expenses for children, and replacing your income. A trained Ontario life insurance agent can walk you through this calculation to determine exactly how much coverage you need. Steve thinks his family will need $15,000 for final expenses. He owes $150,000 for his mortgage, $30,000 for his car, and $10,000 on credit cards. He wants his son to have $80,000 for university or college. After covering these expenses, he believes his family could get by on $30,000 a year and will need ten years of income before they can support themselves. Altogether he would need $300,000 to replace his income and $285,000 for everything else. He would, therefore, want at least $585,000 of life insurance coverage. If you live in an expensive city such as Toronto, you will typically want more coverage than if your family lives in a city with a lower cost of living. Buying life insurance is one of the most important financial decisions you will ever make. You need to find the right plan and the right company for your protection. The best way to find life insurance is by working with a licensed agent. These are trained professionals licensed by your province. They can give you an expert opinion, help you with the calculations, compare different types of policies, and manage your Canadian life insurance policy over time. When you compare different life insurance companies in Canada, pay careful attention to their credit rating. This rating shows how likely the company is to stay solvent and avoid bankruptcy, an important concern after the most recent financial crisis. These ratings are put together by independent agencies. Many of the best Canadian life insurance companies have excellent credit ratings. You should only work with an insurance company that has a rating of A or higher because this means the company is in very strong financial shape. You can look for Canadian life insurance quotes online but be careful. While the internet is good for comparing prices, you should still get a professional opinion before buying. 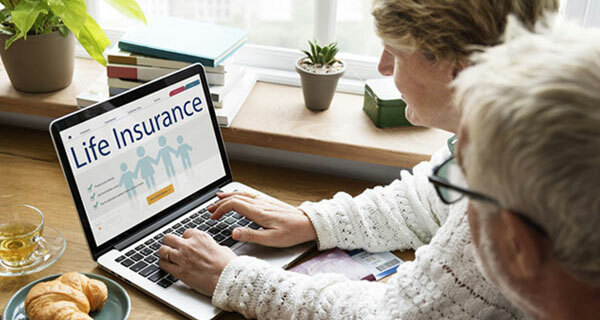 Buying life insurance online is like making a medical decision without talking to a doctor based solely on something you read on the Internet. Use the Internet to narrow down your search to a few options and then schedule a phone call with agents from each company to make your final decision. Buying life insurance takes a few steps. First, you need to decide which Canadian insurance company to work with. You also need to decide what type of life insurance you want as well as the amount of coverage. A trained insurance agent is a big help when you are going over your options. An insurance advisor can estimate how much the insurance will cost, but you need to finish the application process and let the insurance company evaluate your specific situation to get a precise life insurance price. While an estimate may be extremely accurate, it is not a guaranteed price. Only an official life insurance quote can provide an exact price. Once you have decided what kind of coverage you want, you will need to fill out an application with the insurance agent. The life insurance application includes many questions about your medical history because this is how the insurance corporation decides whether to give you coverage and at what price. For example, someone who has health issues, like high cholesterol, will likely pay more because they are more likely to run into heart trouble while someone in perfect health could qualify for a discount. If someone has serious health problems, like cancer, they might be denied coverage at any price. It is all based on how long the insurance company thinks you are going to live, based on their medical estimates. To make this decision, the life insurance company goes over your medical records. They could also ask you to take some kind of health exam. This includes sending a nurse to check your weight and blood pressure, lab testing your blood and urine, sending you to a doctor, or testing your heart with an EKG or ECG (Electrocardiogram). The medical testing gets more comprehensive as you get older and for larger amounts of insurance. After a thorough review, the insurance company will let you know if you qualify for coverage and at what price. If you are happy with their offer, you can sign the insurance contract to get your life insurance plan started immediately. The only way to know exactly how much a life insurance policy will cost you is by applying and getting an official life insurance Canada quote. However, you can get an idea of the approximate cost by looking at the factors that go into pricing. The type of Canadian life insurance policy you buy makes a huge difference in the price. In general, term life insurance in Ontario costs much less than the average permanent life insurance policy because it is only temporary insurance. The longer your life insurance coverage lasts, the more it will cost. Permanent insurance is the most expensive because it lasts your entire life. For term life insurance, a 20-year policy will be more expensive than a 5-year policy. The longer your policy lasts, the more likely it will pay a death benefit as you get older, so insurance companies charge more. Your age is another important factor for life insurance pricing. The older you are, the more expensive your coverage will be. The average 20-year-old is much less likely to die than the average 70-year-old. It is also why buying life insurance while you are still young can be an extremely smart strategy. Before you can take out life insurance, you usually need to take a health exam first (with the exception of certain "no medical" life insurance policies). Canadian insurance companies could examine your medical history, send a nurse to weigh you and take your blood pressure, or ask you to see a doctor. The better shape you are in, the more affordable your insurance will be because you are likely to live longer. Women frequently pay less for life insurance than men. On average, Canadian women live longer than Canadian men, so insurance companies charge women less. If you smoke, you will pay more for your life insurance coverage. Once again, this is a health issue which increases your mortality risk. You need to pay premiums every year to keep your Canada life insurance active. When you sign up, you will get to choose how to pay the annual premium. Most people choose to pay monthly because it is the easiest to budget. You might be able to choose quarterly, semi-annual, and annual for your payments as well if that works better for you. If you miss a payment, you will not immediately lose your insurance coverage in most cases. Policies typically come with a 30-day window for catching up. If you make your payment before 30 days is up, your policy will keep going as normal. If you do not, your policy will lapse, and you will lose coverage. Most policies have a reinstatement period that lasts two years. This means you can start your policy up again if you catch up on the missed premiums and pass a health exam. But it is better not to get in this situation and just pay your premium every month. When you set up your life insurance, you need to pick a beneficiary. This is the person who receives the insurance payment after you die. People usually pick their spouse or another family member, but you can name anyone you want, including picking a charity. You should not name your minor children as beneficiaries, however, because insurance companies do not pay benefits to minors in Ontario. Instead, you could name your children’s guardian as the life insurance beneficiary. Another option is to set up a trust fund to manage the money on your children’s behalf. Once your kids grow up, they will take control of the money. You can also name a secondary beneficiary for your policy as a backup. This person would only receive the payment if the first beneficiary also died. For example, you name your spouse as primary and your mother as secondary. That way if something happens to both you and your spouse, the insurance company can follow your backup instructions. Naming a beneficiary makes sure your heirs receive the insurance money as quickly as possible after you die. The Canadian insurance company can pay a beneficiary directly, so your heirs receive payment only a few days after your death. If you do not have a beneficiary, it takes your heirs much longer to receive the money. The company will pay the death benefit to your estate instead of sending it directly to your heirs. The money then goes through probate, which is a court process to review your will. Probate can take several weeks, and during this time your heirs will undoubtedly need money to manage your final expenses. Make sure to avoid this unnecessary delay and name a beneficiary. It is also extremely important to keep your beneficiary information up-to-date. If you want to change your beneficiary, make the change immediately. There is usually not a cost, and you just need to fill out another form with your insurance company. It is crucial to move quickly because the beneficiary information takes priority over the instructions in your will. If you forget to update your information, it can lead to serious trouble. For example, in one messy situation, a man divorced and remarried. He died and his will said to leave everything to his second wife. However, his life insurance policy still had his former wife as beneficiary, and the insurance company ended up paying everything to her, not the current wife. Money can get tight fast after a disability which can force people to cancel their life insurance. With the disability waiver of premium rider, the insurance company stops charging you if you ever become totally disabled. You need to be disabled for a certain amount of time before the rider kicks in, such as six months. After, you no longer pay for your coverage so long as you are disabled. If you have this rider and die in an accident, like a car crash, your life insurance will pay out a bigger death benefit. Usually twice as much as your original death benefit. So a $250,000 policy would pay $500,000 if you died in an accident. This rider also typically makes a smaller payment for some serious injuries, such as the loss of an arm or if you go blind. Check with your insurance company to see what injuries are covered and for how much under this rider. The guaranteed life insurance rider lets you buy more insurance in the future without taking another medical exam. There is a schedule for when you can buy insurance, like every five years you can add $100,000. This rider is very useful if you plan to increase your coverage some day and do not want to risk becoming sick and unable to buy more. If you buy a Canada term life insurance policy, a term conversion rider lets you switch your coverage into permanent insurance. You do not have to convert the whole policy at once. For example, you can convert $50,000 of a $500,000 policy into permanent life insurance and keep the other $450,000 as term. There is generally no medical exam and you can convert when you want. It is a good addition if you want permanent insurance one day but just not when you buy the original policy. A child protection rider adds a small amount of life insurance for your children. After they grow up, your kids can buy their own life insurance policy without an extra medical exam by using this rider. The Canadian Government does not charge income tax on life insurance death benefits. If you have $500,000 in coverage, your heirs will receive $500,000 tax-free after you die. If you have permanent life insurance that earns cash value, your cash value earnings could be taxed as income when you take the money out. You get your premium payments back tax-free, but your earnings are taxed as income. Figuring out how much you can get back tax-free can be a little complicated because of the way the Government calculates your tax-free base. It is not as simple as just adding up how much you paid in insurance premiums. You should ask your accountant or insurance company how much would be taxable before taking money out. The way you take money out of your Canadian life insurance policy makes a big difference for taxes. Loans typically work out "better" than withdrawals. If you take out a loan, you can borrow all your tax-free base first without owing any taxes. It is only when you start borrowing your earnings that you will need to pay income tax. Also, if you pay back your loan, you will get a tax refund to balance out any taxes you paid for taking funds out since you paid the money back. On the other hand, if you make a withdrawal the Canada Revenue Agency (CRA) looks at the ratio of your tax-free base to your earnings. Your withdrawal needs to follow this ratio. For example, if 60% of your cash value is tax-free and 40% is from earnings, then any withdrawal would be 60% tax-free and 40% taxable. You do not have the option to withdraw your tax-free base first. It must be a balance of the two. What Are the Extra Costs on the New Policy? Remember, life insurance gets more expensive as you get older so the extra cost can cancel out any benefit you might see in a new policy. For example, you find a company with higher returns for cash value growth. While that might be true, if you pay more in life insurance premiums it often cancels out your higher return. Can I Get the Same Outcome Through My Existing Policy? What are you trying to accomplish? You might be able to get everything done through your current policy at a lower cost. For example, if you want to switch your term policy into a whole life insurance policy, you might be able to convert the policy without a health exam. If you want to increase or decrease the size of your Canada life insurance policy, that could be possible as well. Contact your insurance agent to see what you can do with your current policy before making a change. Can I Qualify for the New Policy? To take out a new life insurance Canada policy in Ontario, you will need to pass a medical exam again. The standards get more difficult as you get older and if you have developed any health problems, you might not be able to qualify. To stay safe, keep your old policy active until the underwriting process is finished and you have qualified for the new policy. Otherwise, you could end up with no coverage at all. Could Cancelling My Policy Lead to Taxes or a Loss of Benefits? Cancelling your old life insurance policy can have some unexpected consequences. If you have cash value in a whole life or universal life policy, cancelling it can lead to extra taxes. You will need to pay income tax on your earnings when you take out your cash value. Also, when you sign up for a new policy, you might lose some insurance benefits. For example, a new policy will not cover suicide for the first 24 months, which is defined as the "contestability period" by most policy provisions. Also, if you had riders on your original policy, will they still be on the new one? Compare the two policies closely to see whether they cover the same things. Who Is Recommending the Change? If it is a friend or family member, how well do they understand life insurance? If it is another Canadian life insurance agent, what kind of qualifications do they have and will they make a commission on the sale? You should get a second opinion from your existing agent to make sure the new recommendation is accurate. In the end, changing your policy could be the right move but go over everything carefully before making your decision. So, what happens when you die? How do your heirs collect their money? Reputable insurance companies in Canada make it quick and easy for people to collect death benefits. After all, it is their main job so they should handle it properly. To collect the death benefit, your beneficiary needs to fill out a claim form and submit evidence of your death. This can be a Proof of Death, a death certificate, or a doctor’s statement verifying the death. After receiving this information, the insurance company will pay out most claims within 7-10 days. While insurance companies pay most claims quickly, there are some situations when the payment can be delayed or even denied. In general, if you die within two years of buying your life insurance policy, you are in a contestable period. In such situations, the insurance company has the right to research your application to see whether you left off important information or lied. Your heirs need to wait while the company does its research. If the insurance company finds a serious lie or omission, they can reject the claim and not pay anything to your heirs. For example, if a person said they did not have any dangerous hobbies, and then they die in a skydiving accident, their claim can be denied. If someone commits suicide within the first two years, their claim will also often be denied. Suicide is usually only covered after someone is insured for more than two years. After two years, the only way a Canadian insurance company can typically deny a universal, whole, or term life insurance claim is if you have not paid your insurance premiums or if the insurance company finds evidence of fraud. For example, someone is diagnosed with cancer and asks their doctor to hide that information until after they buy life insurance. As you can see, serious problems can arise when Canadians are dishonest on their official life insurance applications. If you answer everything correctly when you buy insurance, your heirs should have no trouble getting their death benefit. Once the insurance company approves the claim, your heirs have a few options for receiving their money. They can receive the entire payment all at once in a lump sum payment. If your heirs want help budgeting the money, they can also ask to be paid in installments, such as the insurance company making a fixed payment every year or every quarter. Finally, your heirs might not want to make such a big financial decision immediately after your death. If they want more time, they can ask the insurance company to delay the payment. In such situations, the insurance company will often pay interest on the unpaid amount. Your heirs can then collect the death benefit later when they are in better shape to make a decision on how to get paid and what to do with the money. Buying life insurance could be the most important financial decision you will ever make, and we are happy you took the time to read our life insurance Ontario guide. You are likely now in a much better position to make an informed decision compared to the average Canadian. Still, you should not make a decision this big without the help of a professional. Nothing replaces the advice and feedback of an experienced Ontario life insurance agent. If you have any questions about the guide or need help researching your options, please contact us today for more information. We look forward to hearing from you. The average Canadian does not spend much time thinking about life insurance. After all, it is not the most exciting subject. But that is how misleading rumors can sometimes start. To keep you on the right track, we have covered the most common life insurance myths and why they are often wrong. This myth gets people in all kinds of trouble. They assume their work coverage is plenty. When they die, their heirs often find out it is not nearly enough and by then it is too late. Most work life insurance plans only offer about 2-3 times your salary when you should really have closer to 6-10, maybe even more depending on your needs. Even if your work plan offers plenty of coverage, what happens when you leave your job? There is a good chance you will not be able to keep your life insurance coverage. It is safer to set up your own individual plan that you control. Work coverage is helpful, but it should not be your only coverage. The Internet has made it easy to research life insurance quotes online so you can narrow your search to the best Canada life insurance companies. However, you should not make your purchase before speaking with a trained agent first. Insurance companies typically charge the same amount for life insurance whether you speak to an agent or not, so you do not save money by skipping this step. A local insurance advisor can give you valuable advice like helping you calculate how much coverage you need, comparing the different types of life insurance, explaining different terms, and servicing your account over time. Do not miss out on this important relationship. Our licensed insurance agent is available to meet in Toronto, Hamilton, Kitchener-Waterloo, St. Catharines-Niagara, Barrie, Guelph, and any other community in Southwestern Ontario. If you are interested in Toronto life insurance, you will be happy to know we are available to meet in person in all parts of the Greater Toronto Area (GTA) including downtown Toronto, Brampton, Mississauga, Oshawa, Vaughan, Ajax, Oakville, Richmond Hill, Burlington, Pickering, Markham, Whitby, Newmarket, and Milton. While young, single people do not need life insurance as much as people with children, but it can still be useful. For example, if your family co-signed your student loans, you should have life insurance. Otherwise, they would be forced to pay everything off if you happen to die. Life insurance would also cover your final expenses in case you died suddenly, like in a car accident. What are your goals for the future? Maybe you do not need life insurance right now but if you ever plan on getting married or having kids, then you definitely will. Buying now while you are still young locks in a great price for the rest of your life. Stay at home parents do not always realize just how valuable they are to their families. They may think just because they are not bringing in a paycheck they do not need life insurance. This could not be farther from the truth. If you die, your family is going to need plenty of help around the house for cooking, cleaning, taking care of the kids, and everything else you do. Friends and family can pitch in but chances are your loved ones will need to hire outside help, and this can be very expensive particularly for quality child care. That is why both parents should have life insurance, even if one is not working. If you have some health problems, it will make it harder to qualify for life insurance. That is definitely true. But you should not give up without applying first. Remember, Canadian insurance companies let you apply for free. They also accept many Canadians with medical conditions, just at a higher price. You might need to pay more, but you would still have coverage. Finally, there are "no medical" life insurance policies that do not require a medical exam because they accept almost everyone. These plans are more expensive and may not cover death during the first couple years, but they are better than nothing. Do not give up on applying for life insurance until you have looked at all your options first. When people think life insurance is too expensive, they probably got a quote for the wrong kind. Yes, if you buy a large permanent life insurance policy it will be expensive, but term insurance is very affordable. With Canadian term life insurance, you may qualify for $250,000 or more in coverage at a low monthly rate. Insurance companies charge a lot less for term life insurance compared to whole life insurance because these policies eventually expire, so most plans do not pay out a death benefit. While most people should focus on term insurance because it is more affordable, there is undeniably a time and place for permanent. Since it never expires, permanent life insurance is better for handling your final expenses and leaving an inheritance. A good strategy is to have most of your life insurance in term with a little in permanent. The cash value in permanent life insurance can also help you save for the future. Permanent insurance gets a lot of unfair criticism, often from the investment industry because they would rather get the money instead. But the variety of investments and tax-free growth in whole and universal insurance makes it a solid choice to save money for the future. Do not rush to cancel your life insurance right after your kids grow up. If you are still working and your partner depends on your income, you should still have some coverage to take care of them after you are gone. When you retire, you likely do not need term life insurance anymore, but a small whole life, universal life or variable life insurance policy could be useful. This would cover your final expenses and possibly a small inheritance. The point is, while you need less insurance after your kids grow up, you still might need some. If you cancel now and change your mind, it will be much more expensive to buy a new policy since you are older. Questions about life insurance? Interested in a free no-commitment Canada life insurance quote? Contact our Ontario life insurance team today! Please phone our team or complete this form today for a fast & free no commitment Canada life insurance quote. 24h Response Time! © 2019 Canada Life Insurance Quotes. All rights reserved. Disclaimer: This material is provided for illustration purposes only and is not intended as a statement of contract, an offer to sell insurance or a solicitation for investment. All content is provided "as is" without warranty of any kind, and under no circumstances shall we be liable for any damages that result from its use.